Good Morning, Happy Memorial Day! I hope you are having a wonderful holiday weekend! Here’s today’s round up of awesome tutorials. I’m loving these Bendable Flags! Get the DIY here. Learn how to create these beautiful textured cards using this tutorial. Make a pretty Spool Necklace with this DIY. 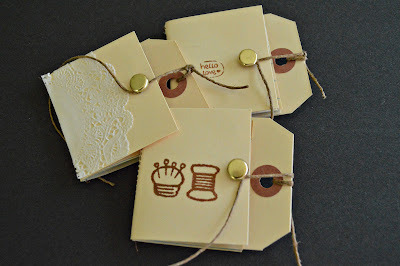 Whip up some Cute Hang Tag Notebooks using this tutorial. 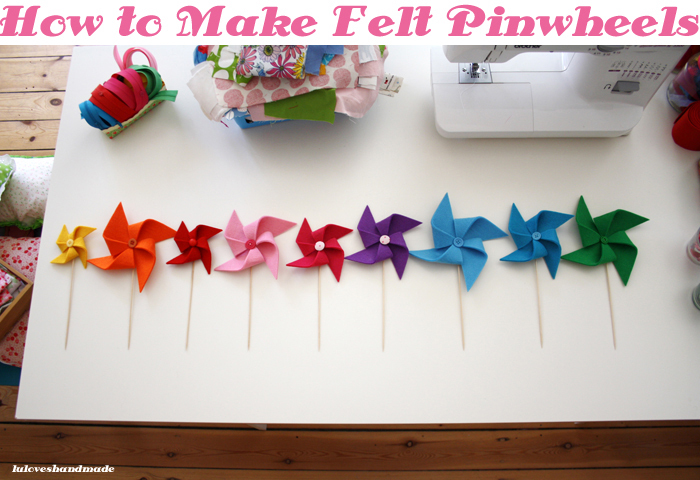 Make some Felt Pinwheels using this fun DIY. Turn a Tshirt insot a Tote Bag with this easy DIY. Love your selection of tutorials! And thanks for including my textured cards.